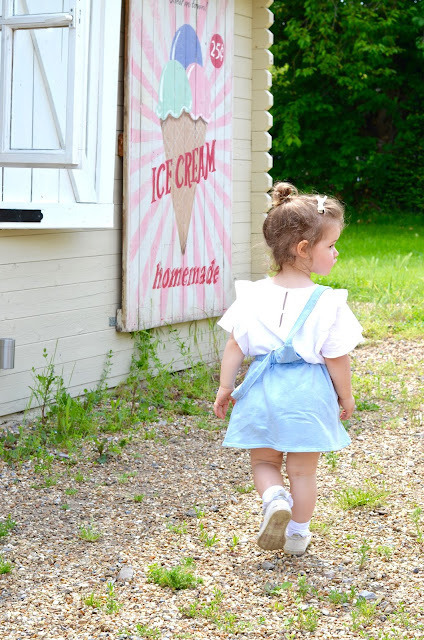 Childhood memories are the sweetest. 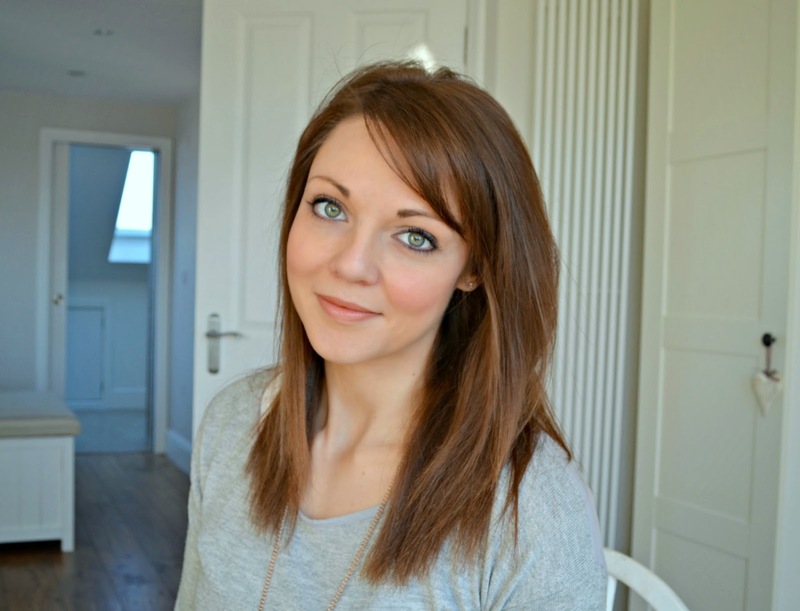 My favourites are all holiday seasons, be it Christmas, Easter or Summers that seemed to be endless. We were always lucky enough to be taken on a holiday abroad, generally to the South of a France, but my mother, also a teacher, had the whole of the summer off with us too and kept us busy with a swath of activities. 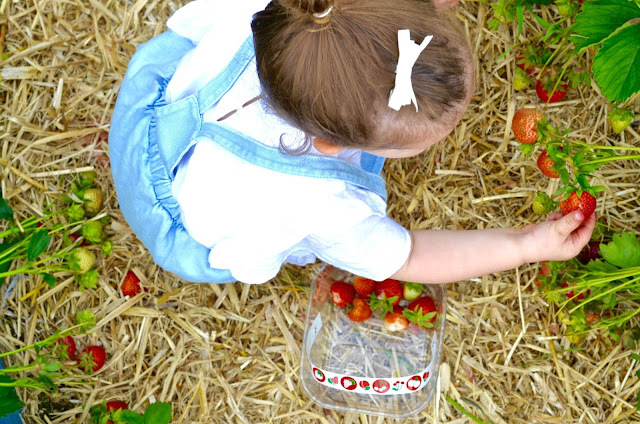 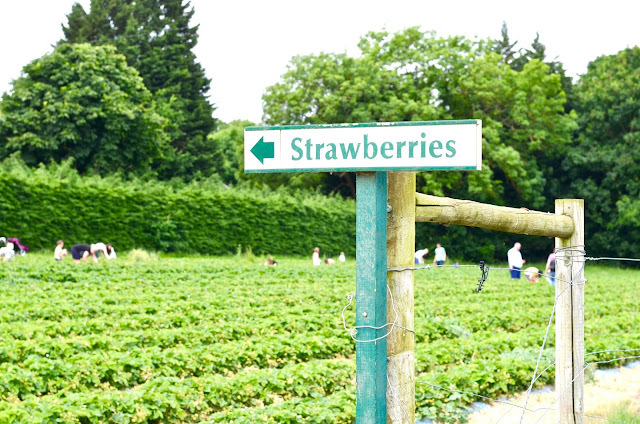 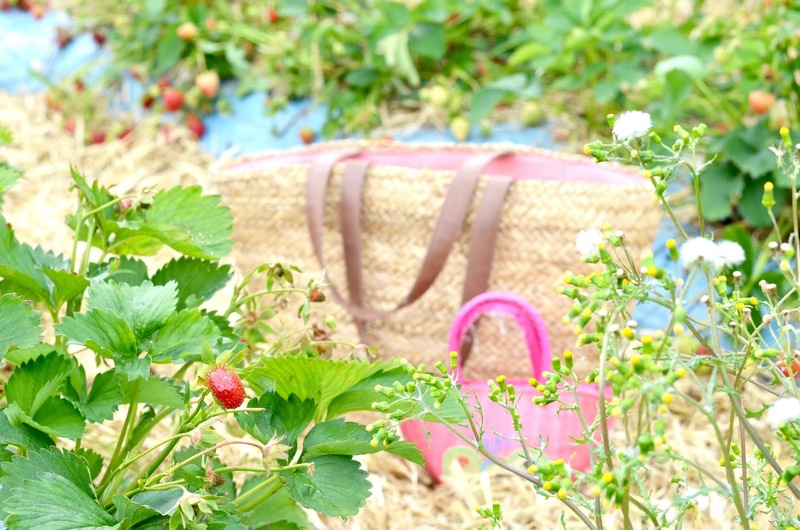 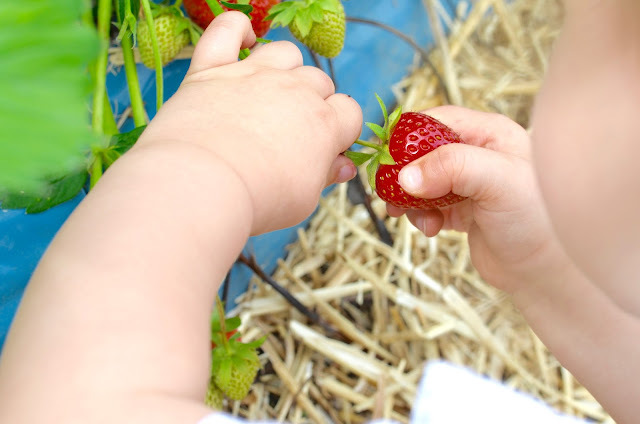 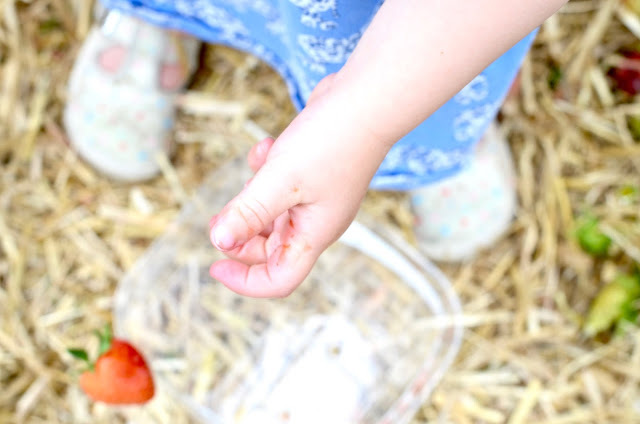 One of my favourites was fruit picking, we had some small fruit bushes of strawberries and raspberries in the garden, and I was sent off with my little basket to pick the ripe fruit for our pudding. 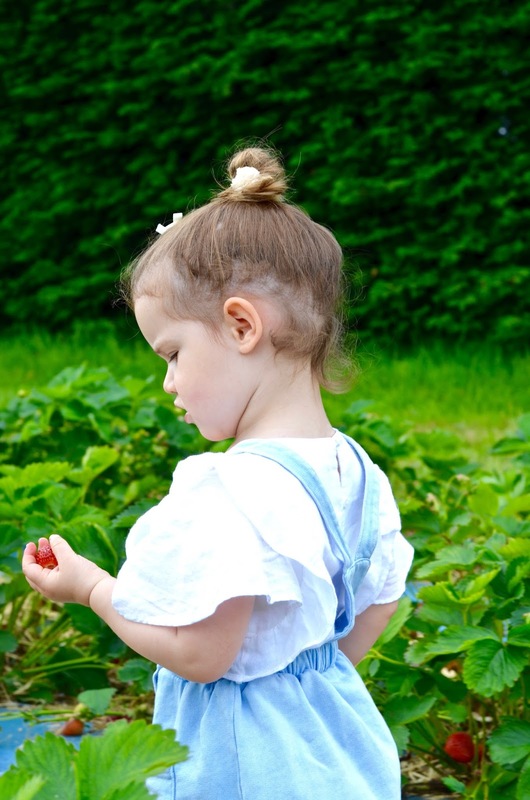 When our little patch wasn't in season, we would go out to local farms and have a merry time hunting down the ripe fruit. 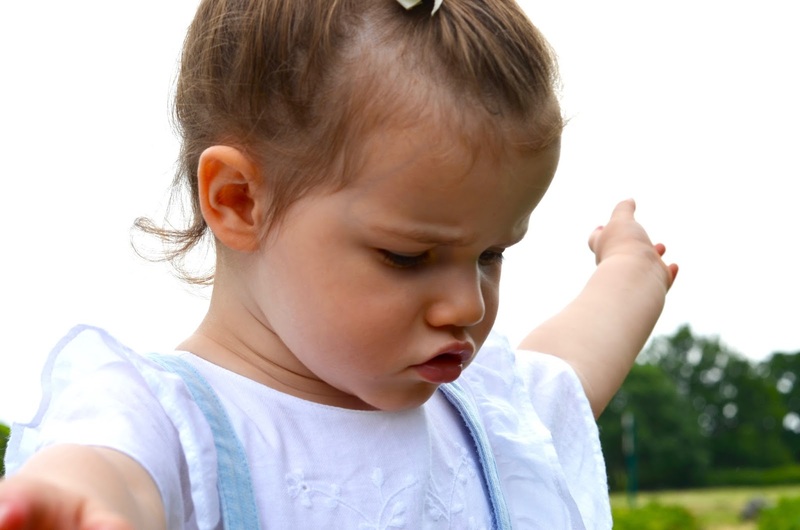 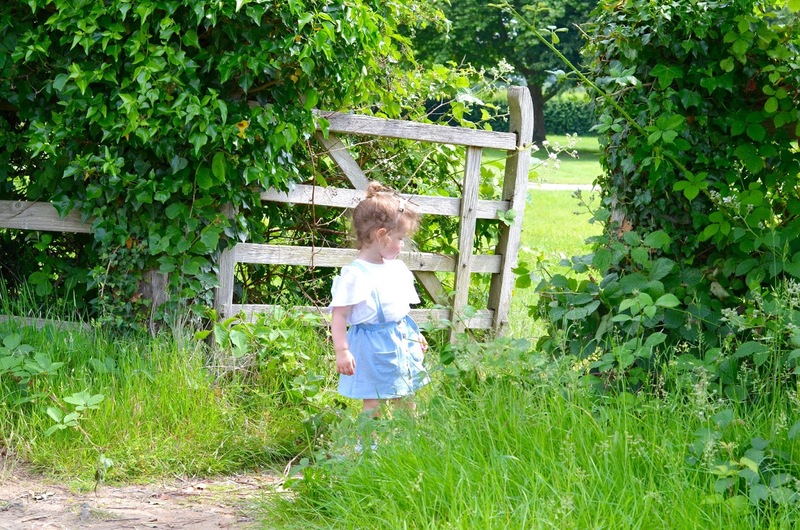 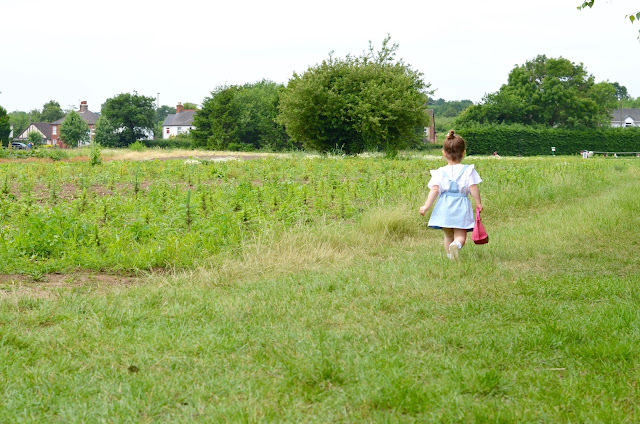 My mum used to tell us they would weigh us to check we hadn't eaten too many, but that never stopped my sister and I eating as much as we put in our linnets and regretting it later when we had sore tummies and our dresses were covered in pink juice. 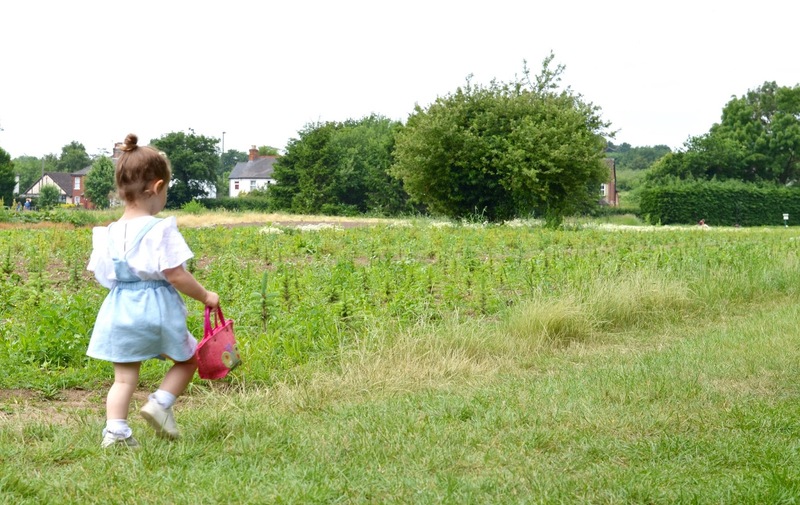 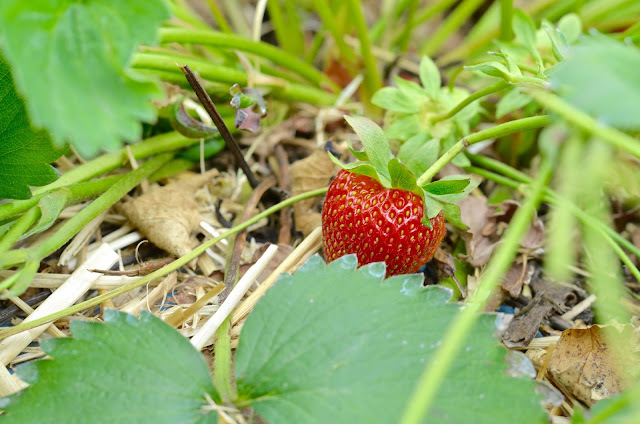 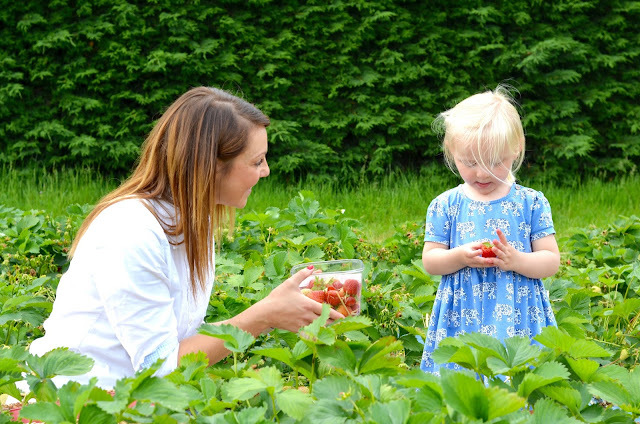 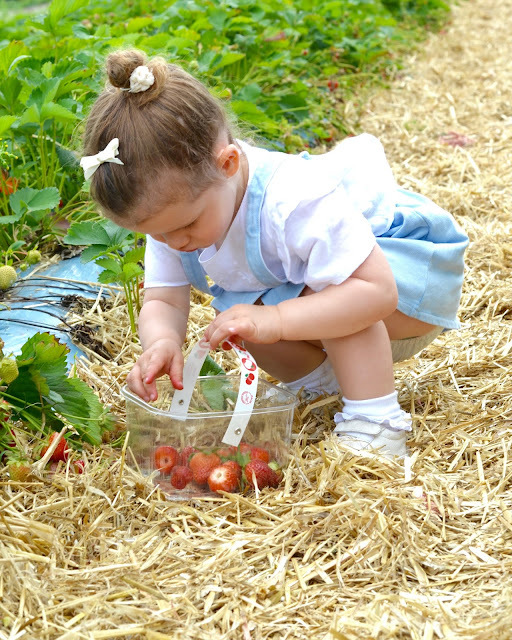 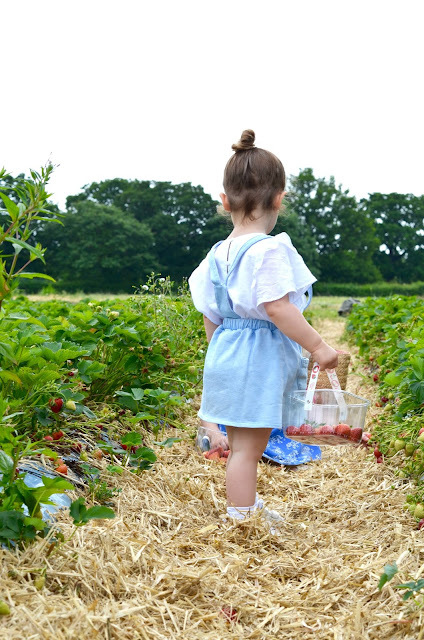 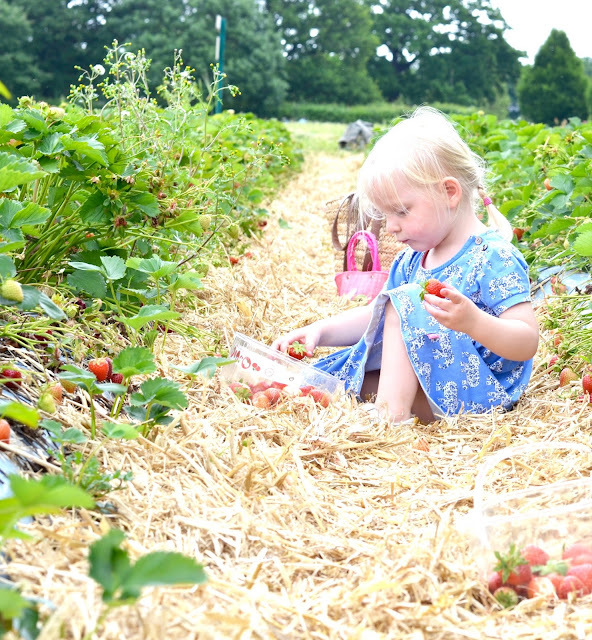 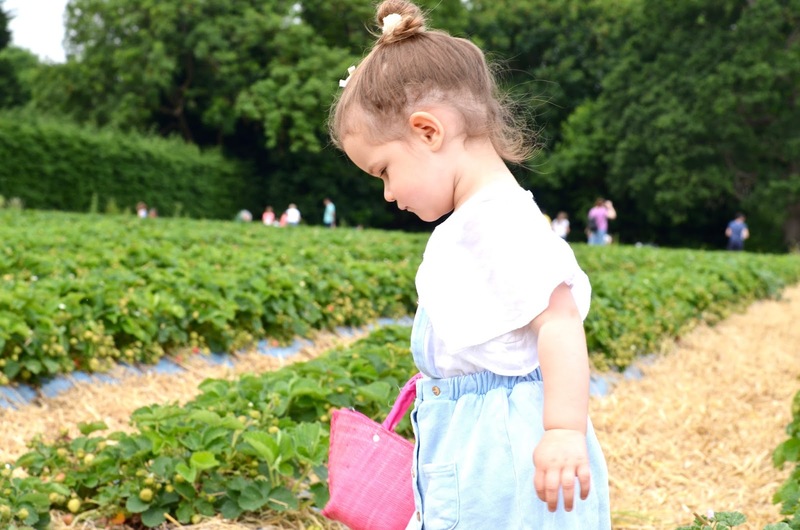 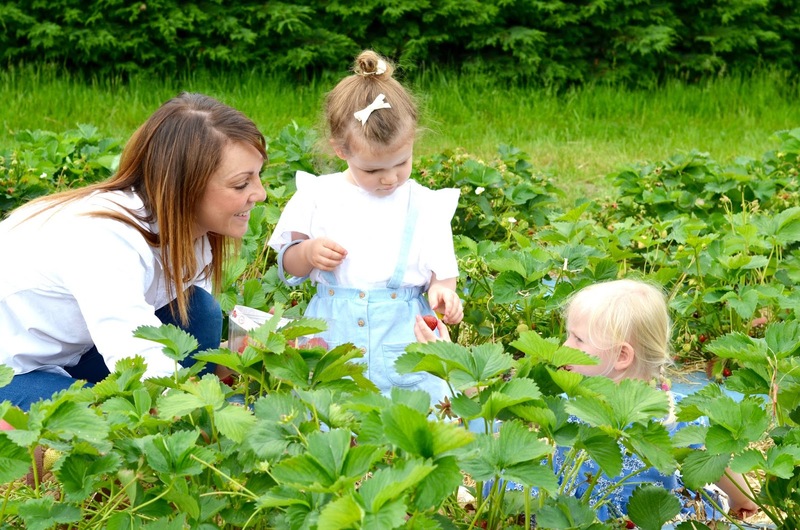 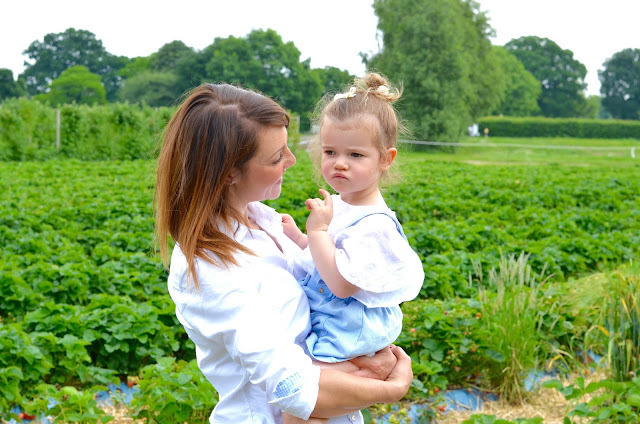 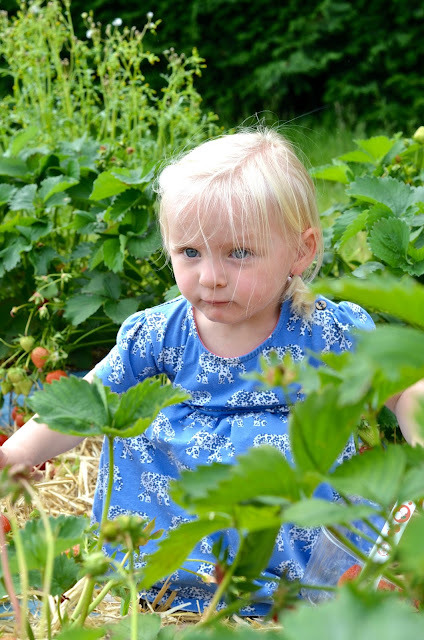 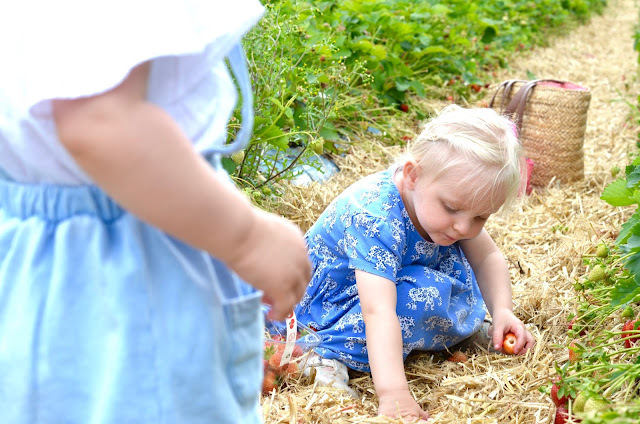 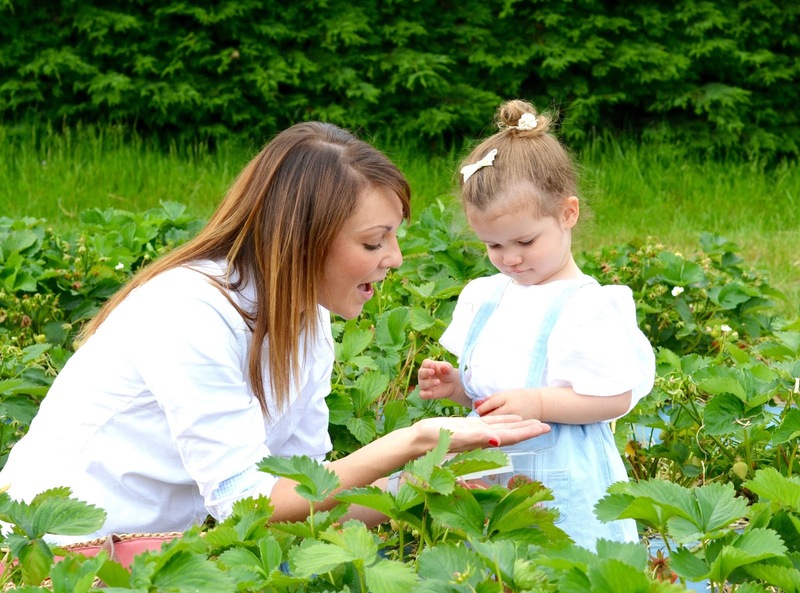 When I spotted that my local farm - Crockford Bridge, were opening their strawberry fields last week I quickly rallied my friend Emily and her little girl Kitty - Sophie's BFF - to pick the first if the season. 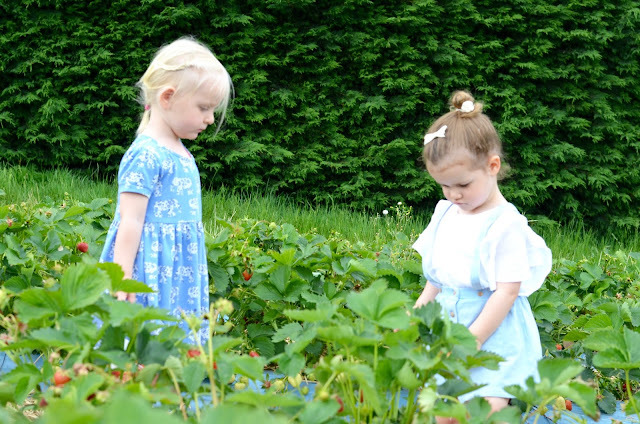 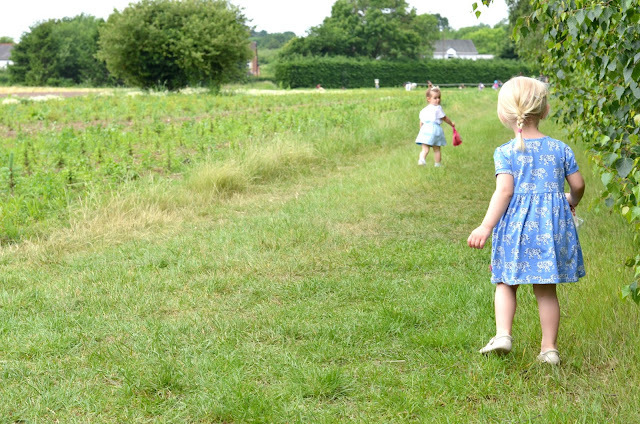 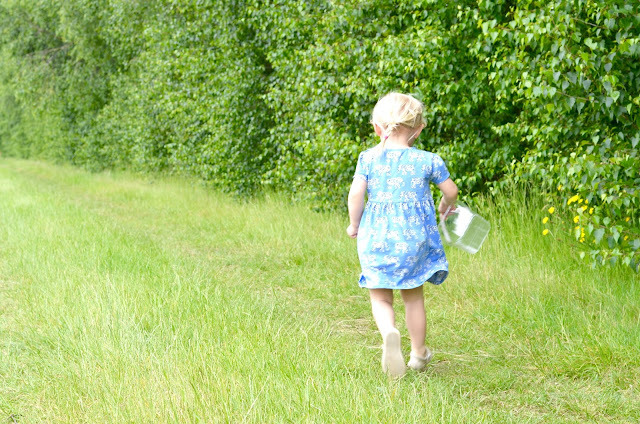 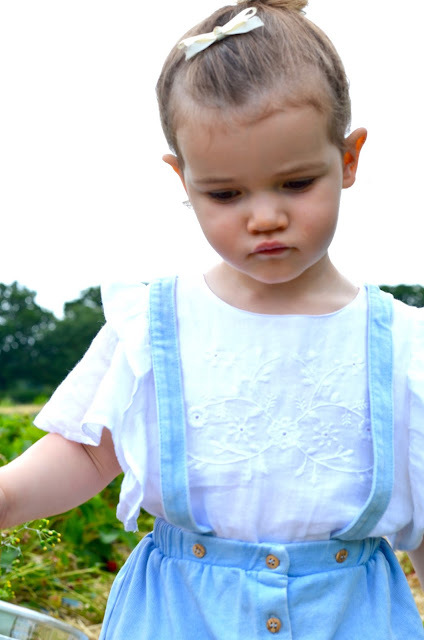 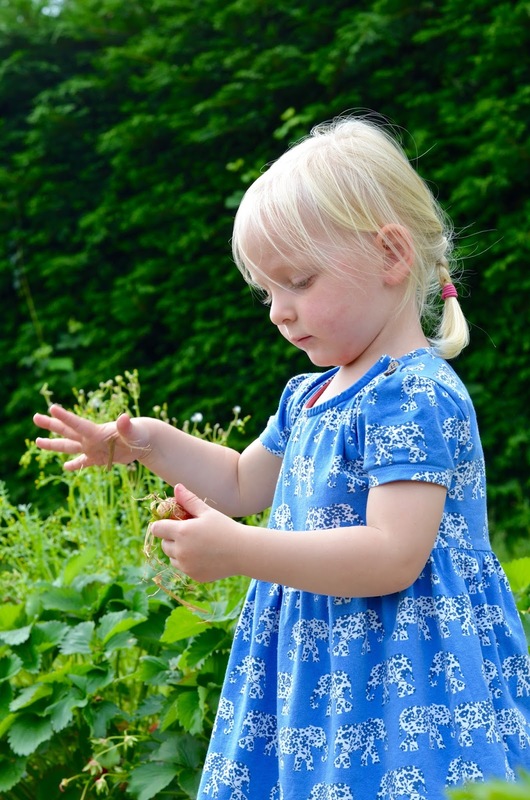 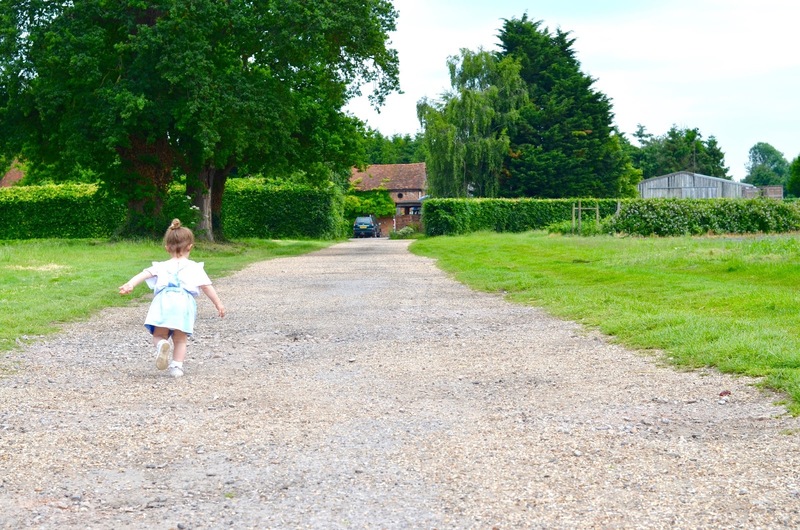 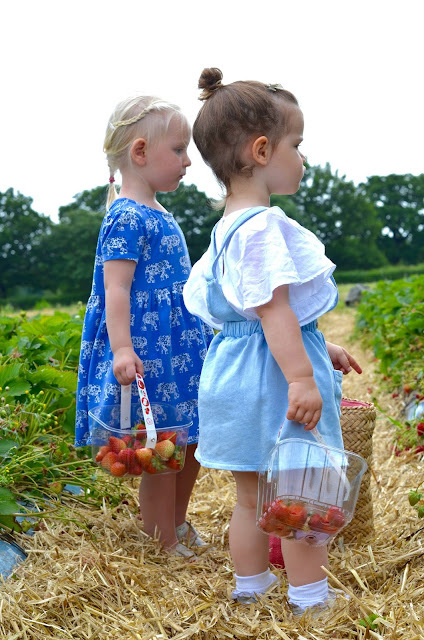 Although the skies weren't picturesque blue like I remembered they always were when we went fruit picking, it was lovely and warm so the girls donned their sundresses and punnets and ran along the rows hunting down the reddest berries. 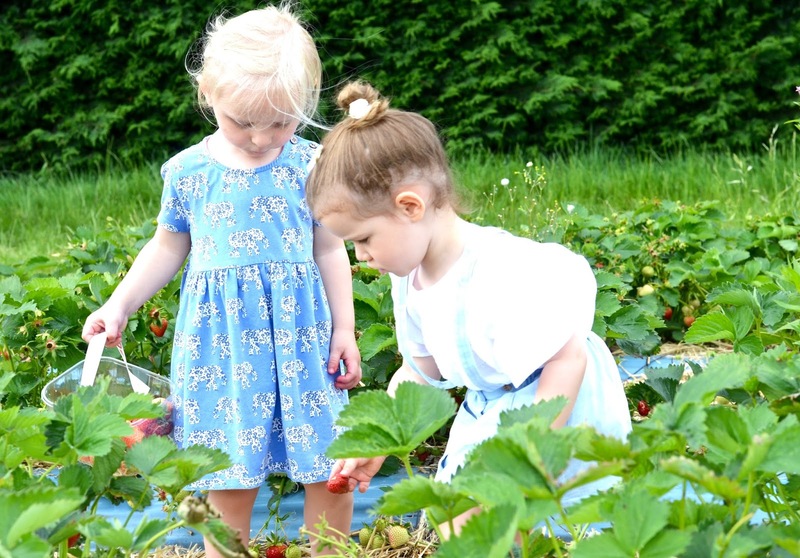 At only just two, I was so impressed at the girls understanding that they were to only pick the red strawberries and not to run over the plants. Kitty loves strawberries and soon had her little face covered in strawberry juice. 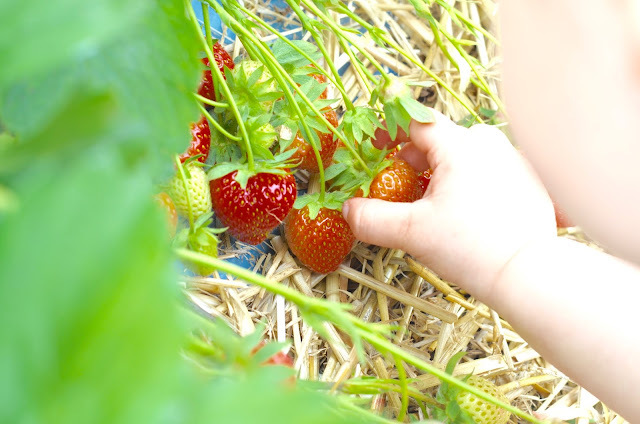 I was hoping that picking her own would encourage Sophie to eat them, but she was more interested in feeding them to everyone else... she'll get there. At Crockford Bridge Farm there is their is also the cutest little ice cream Palour where you go to collect your punnets and pay for your finds, which if we hadn't been going straight for lunch, I wound have been able to resist. 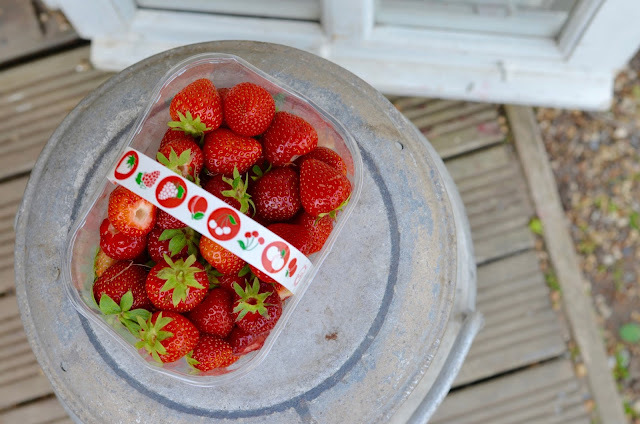 next time, we'll go in the afternoon and have these as a treat when we've finished! 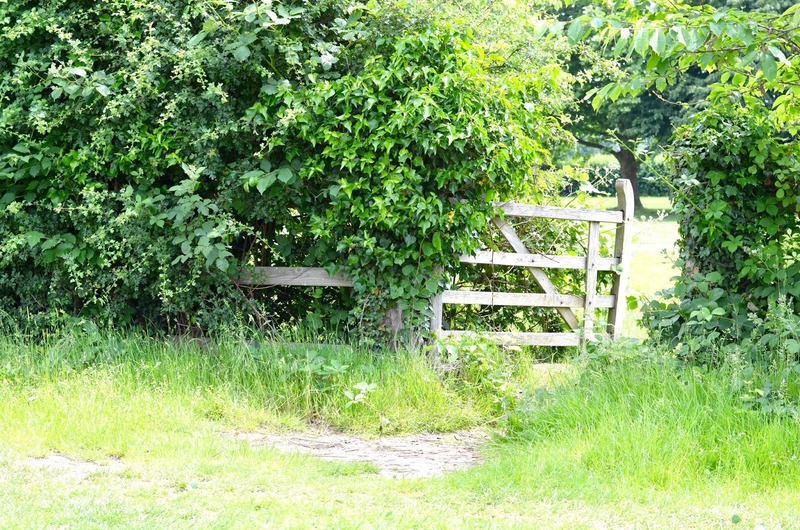 And the best bit? Well Sophie might not be interested, I was super happy to have these ruby red fruits for pudding... and breakfast!